Anthurium Superbum is a birdsnest type Anthurium with dark green leaves that have a pelted type surface and a dark maroon under side. This plant is one of the most attractive of the birdnest Anthuriums we have grown. 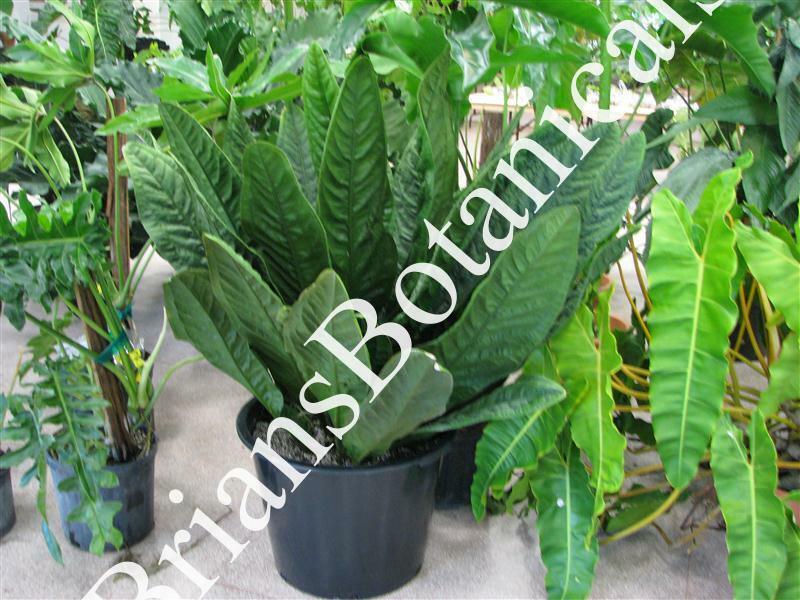 This Anthurium grows to3- 5 feet tall and prefers part to full shade.